BUT THAT’S NOT ALL! €50,000 BONUS PRIZE! 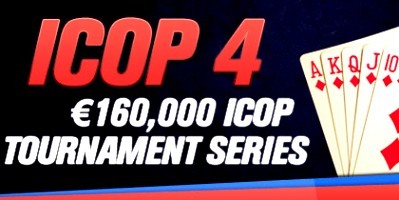 Redbet has put up a prize of €50,000 for any players who achieve 4 final tables in iCOP4. ** Also during the week of the iCOP; MICRO GTD REBUY tournaments held at 19:15, 20:15, 21:00 & 22:15 will become “MICRO REBUY iCOP Sat” qualifying players into the following day’s iCOP Tournament. Any player who finishes within the final 10 players (final table) in any 4 of the 8 events will win a share of the €50,000, credited within 72 hours of the close of the promotion: If more than 1 player achieves this, then the €50,000 will be split amongst all winners. If a player achieves more than 4 final tables within the iCOP4 promotion s/he will receive the same share as all other qualifying winners. The 8 events which are valid for the €50,000 final table prize are the 8 iCOP4 tournaments listed above. Any player who wins any of the promotions has the right not to participate. 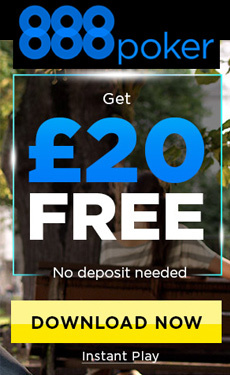 There is no cash alternative. In this instance, Redbet will usually pick the runner-up as the replacement, subject to their total discretion. "Redbet Poker ICOP 4, €160,000 ICOP Tournament Series"